This week our neighbours have lost (suddenly) their beloved dog. He was a lovely dog, so well behaved. I thought I'd pop a card in their letterbox to let them know we are thinking of them. 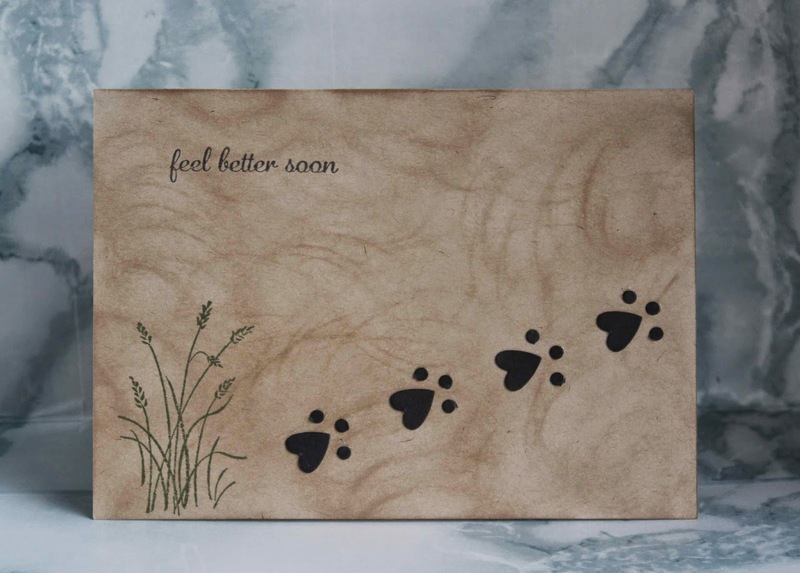 We live at a beach and they used to walk the dog on the beach - my idea with this card was to make it look like Sherman was leaving his footsteps behind on the beach. Inside I've written the verse from this card I found. I thought it was a lovely verse. now that you've had to say goodbye.